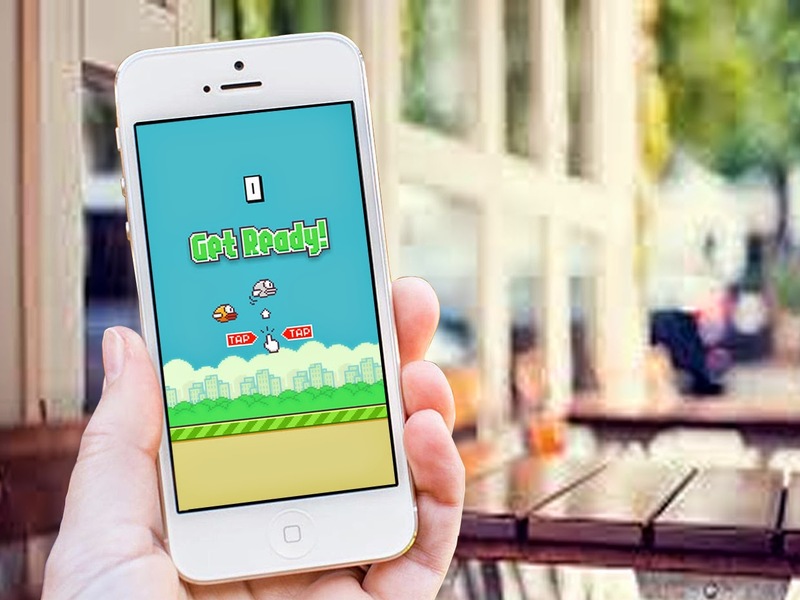 Flappy Bird became an overnight success, shooting to the top of the charts months after release. But just as quickly as Flappy Bird soared, it came crashing down rather like the little character in the game. So can Flappy Bird teach us anything about how to make a successful app? Many digital phenomena have such sparse life expectancies they can be likened to a firework on the 5th of November. They ascend into the night sky with a lot of commotion and promise, only to fail all expectations with a half-hearted bang and a few sparks, before darkness descends and then the next one tries its luck. So is it really any surprise that Flappy Bird went from pulling in £30,000 a day from in game pop-up ads alone within 10 months, to disappearing from sight when its creator pulled it from the App Store. Rumours have it that Flappy Bird creator Dong Nguyen was under a constant barrage of messages, death threats and insults which is supposedly why he ducked out. Others suggest the threat of a potential legal battle with Nintendo was why Nguyen took the money and flew. Either way, becoming an overnight success isn’t easy. You need the capital, staff and infrastructure to handle the kind of pressure being a big hit brings. Nguyen learnt that overnight success is a bit like a game of Flappy Bird: the forces which pull you down are equally as powerful as those pulling you up, and either could cause you to crash sooner than expected. Of course, in the world of B2B marketing who wouldn’t like to see a bit of flappy action. Who wouldn’t like to see £30,000 a day, or even just a small share of that? Who wouldn’t like to see their app buzzing with reviews and 5-star ratings across the Apple App Store and Google Play? No, I didn’t think so. Then just what does it take to create a successful app? I believe there are two simple steps to success. First, the functionality and role of any app should reflect some element of your brand. This may sound obvious, but far too often apps appear to be an afterthought or ‘bolt on’, detached from the brand’s personality. Instead an app should add something to the consumer’s relationship with the brand, and its purpose and functionality should reflect and support these values. Secondly, the app has to be addictive. With mobile devices dominating on-the-go communications, you need to ensure your app stays firmly fixed to your consumers’ home screen. To do that you need to ensure your app is useful, helpful or fun. It should at least make life easier and smooth away a few wrinkles of daily existence. If you meet these two requirements, you may just be onto something. Sure it might not be the next Flappy Bird, but if you have the right infrastructure, people and capital in place to ride the skyrocket of success, you may have something worthy of a more permanent place on your consumer’s device – something which they will use – and when they do, build positive perceptions about your brand. And isn’t that what the flap and fuss should really be about? Andrew is a fellow of the Institute of Direct Marketing and heads up Purple’s data and planning teams. Having started his career in the music business, he turned client side marketer with spells at United Biscuits, Asda, Peugeot and Nissan, before jumping ship to immerse himself in the world of data. Now a committed planner and brand strategist, he has worked with clients including First Direct, Next Directory, Honeywell and Flight Centre blending research and data insight with a marketer’s instinct for a good proposition. Away from marketing you’ll find him on a cricket pitch or building sandcastles on the beach! Last year the agency’s Installer Assistant App for Honeywell won Best Mobile App at the Wirehives and was a finalist at Mobile Marketing Awards.